Can you predict what the graph of water height versus time will look like as the vase fills? Can you explain why the graph is so? Click on the button "Fill vase" to turn start filling the vase with water. 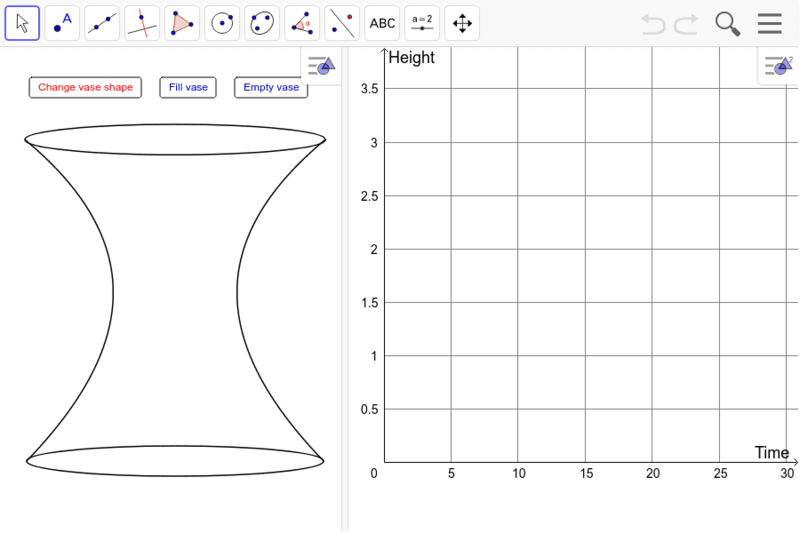 Click on the button "Change vase shape" to change the shape of the vase. Drag the red crosses to adjust the shape of the vase.